We are the Monta Vista Robotics Team from Cupertino, California. Participating in the FIRST Robotics Competition as Team 115! This is our robot for the FIRST POWER UP game. 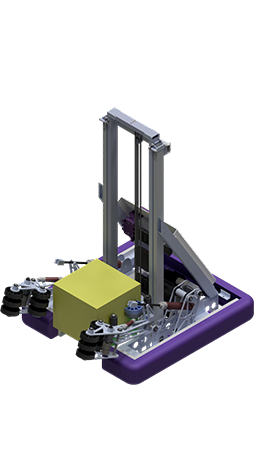 Driven by two loops of #25 chain, we engineered a breakthrough elevator to carry the cubes to the scale in the match. Utilized the West Coast Drivetrain for versatile movement on the match field! We worked hard to engineer and mill a custom intake and carriage plates. Our workspace serves as a community-wide makerspace, fitted with a state-of-the-art CNC mill and 3D printers. Our all new 3D printers allowed us to custom print wheels and other parts for our robot. Our pivoting intake allows us to easily secure the cube and transfer it to our elevator with ease. The heart of our robot was engineered and custom made in conjuction with our mechanical team. If you have more questions about the team, please see our About page for detailed information! Currently, there is a huge problem with the lack of diversity in STEM related fields. MVRT decided to tackle the problem head-on and we formed SiSTEM, a support system for young females to join STEM. Our program showed unparralelled results, increasing our rookie involvement from 2 female rookies to over 43 female rookies in 2 years. If you have any questions, please contact us! MVRT strives to make an impact around the world. With our expansion programs in Taiwan and in Mali, we wish to expand and push the FIRST ideals globally. MVRT invited over 25 international students over the summer of 2016 to tour our facilities and learn about the FIRST Robotics Competition. In early 2017, we continued the program and invited a new group of 30 international students to tour Monta Vista once again. 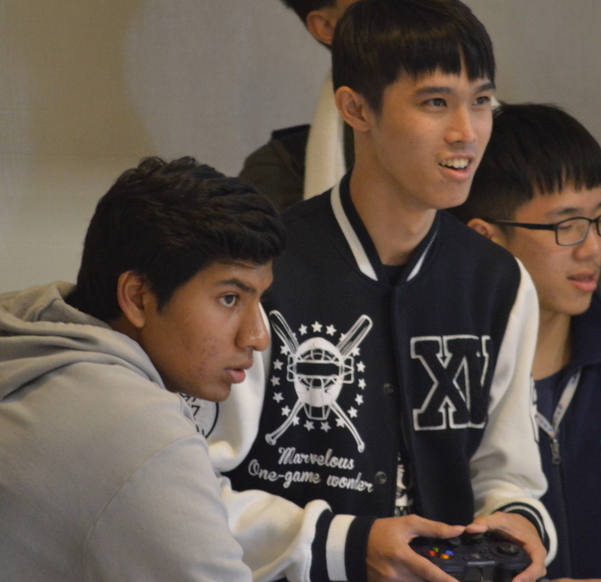 MVRT also held a demo for the Taiwan Exchange Students. We are now supporting them as they start their own FRC team. The team is currently meeting on a daily basis based on the coach’s responses and has had a successful kickoff. They are meeting for Build Season and we are in constant contact with them for them to be ready for this season. MVRT has also invited 25 new international students during the season this year to tour our facilities and learn about the FIRST Robotics Competition. We hope to continue a strong relationship and have them visit our facility every year and host a demo. We will continue inviting them to our HeadStart camp and possibly even start more teams next year. MVRT aims to spread FIRST ideals to not only the international community, but also to our local community. 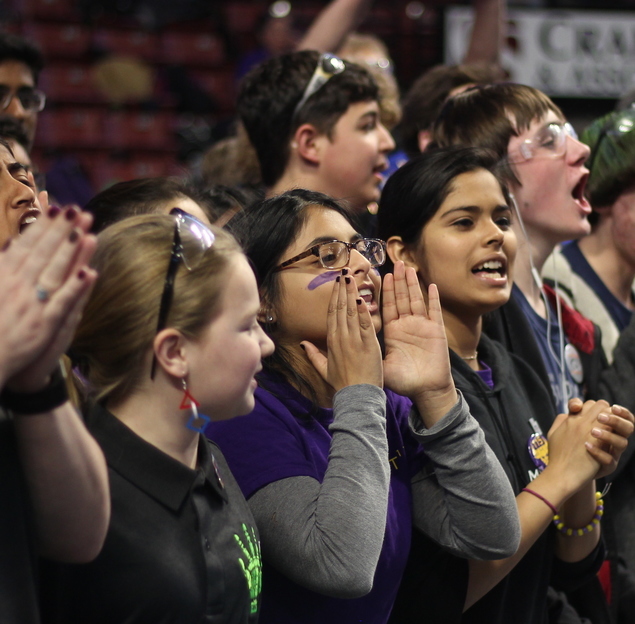 Through our widespread FLL program, we inspire children to pursue STEM fields. In the past four years, MVRT has formed over 25 FLL teams, and in the past two years, seven out of the ten teams we have coached have made it to district championships. One of the teams we coached, the Kennedians, even held a world record for the most number of points in the 2012-2013 Senior Solution FLL challenge. MVRT helps these students realize that FLL is not just about winning, but that it’s about working as a team. The Monta Vista Robotics Team provides the community with STEM education by holding weekly classes at numerous elementary all around the Bay Area. The program was founded in 2005, and has grown to serve 5 local elementary schools and over 650 students. MVRT formed a partnership with the Ohana Club, a club at Monta Vista dedicated to providing special education students with as many skills as possible, to teach students STEM concepts in an interactive, hands-on way. Throughout the years, our curriculum has evolved and improved based on feedback from both the Ohana students and the Ohana officer team. The program was founded in 2012 and has grown to have over 60 special education students participating in the program. Sisters in STEM (SiSTEM) is a program founded by our female veterans in 2016 to combat the lack of girls in STEM and encourage more females to join the team. Many girls felt discouraged to be a part of the team, especially in the engineering divisions, and MVRT often experienced low retention rates of female members. To combat the lack of diversity in STEM, the SiSTEM initiative was introduced. MVRT recognized the gender gap that currently exists in engineering fields and provided a solution to the problem. With this program, we have had an 80% increase in female attendance and member retention and an increase in overall team morale. With more people involved in our design and execution, our team has improved as a whole, as has our community. Drop us your email below and recieve our newsletters about how our team is doing! Promise, no spam!